We have been staying at a 55+ snowbird park in Casa Grande, Arizona – Foothills West. We first heard about this park from Darrell and Dona, camp hosts at Lake Cascade, an Idaho state park. They told us we should come visit this park when we came south and they were right. We have had a fun week meeting lots of people – most are here escaping Minnesota and Wisconsin winters – who come back year after year. 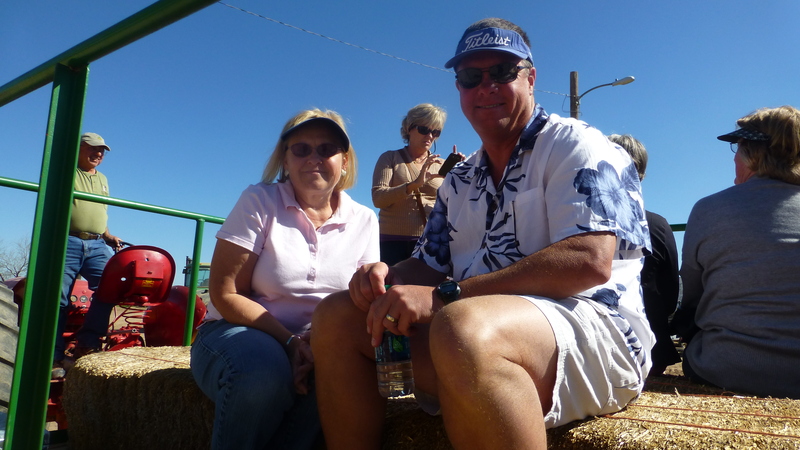 Darrell and Dona split their time between Cascade and Casa Grande. Snowbirds seem to have a great time! We could see that my cousin, Audrey, really enjoys her time at a snowbird park in Yuma. Her park is much larger and has tons of activities. This one is much smaller, about 180 sites, and has some activities, but it seems like the relationships are primary. And, kindly, they have also been welcoming to us – and we are noticeable – as there are only 4 “transient” sites in the park. 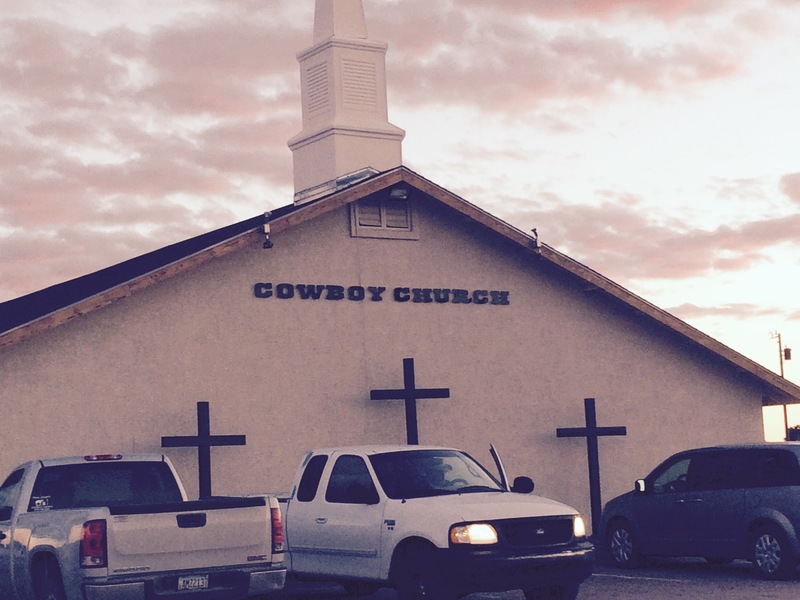 One of the people we met, Ron, invited us to go to Cowboy Church. We almost always enjoy going to church, but this was a uniquely outstanding experience. The band had two guitars, a bass guitar, a fiddle, a keyboard, drums and an accordion. When they started singing “Ghost Riders in the Sky” we thought it was interesting, but that was just to make sure the melody was familiar. 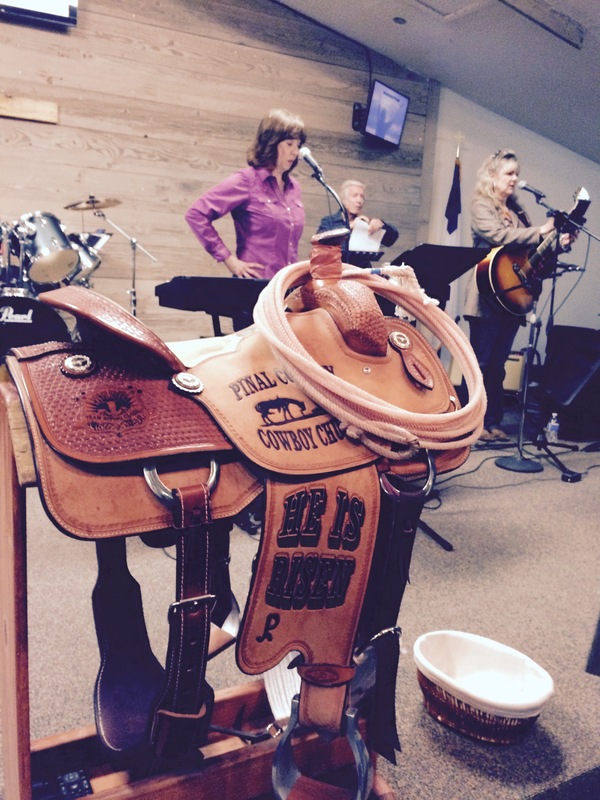 Soon we were singing Amazing Grace to the tune of Ghost Riders In the Sky. The pastor had a very good message that he delivered from behind this unique pulpit! 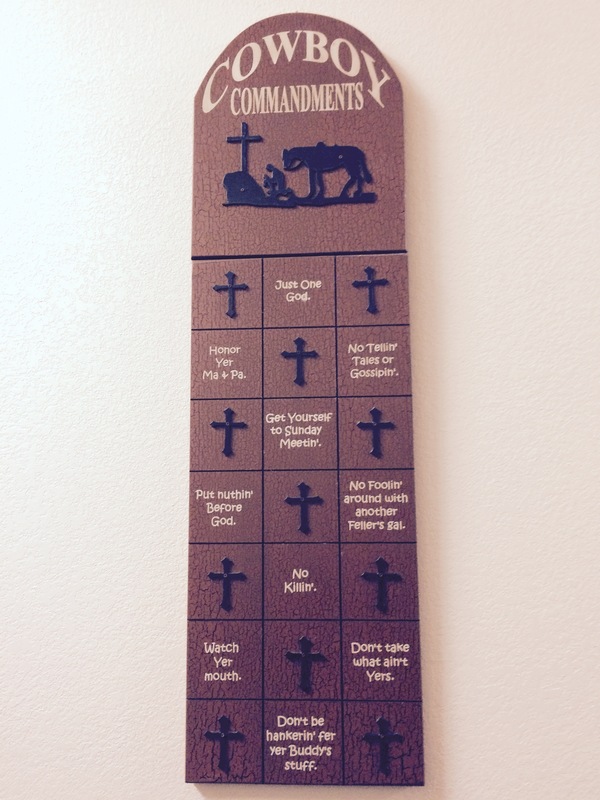 We also saw the Cowboy interpretation of the 10 commandments! 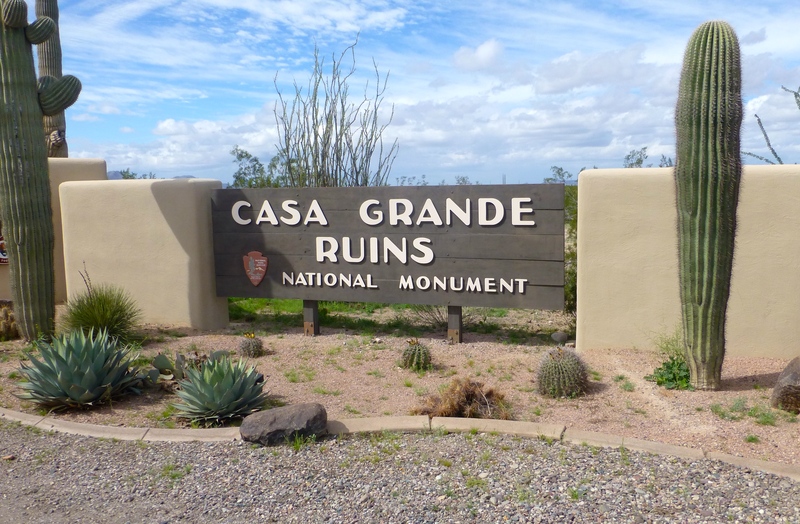 We visited the signature landmark in the area, The Casa Grande Ruins. 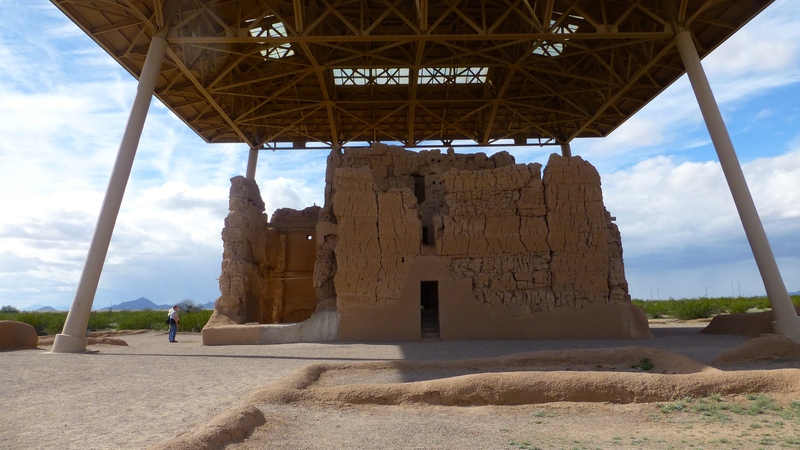 This site was discovered in 1694 by Spanish missionaries who named it Casa Grande, the Great House. 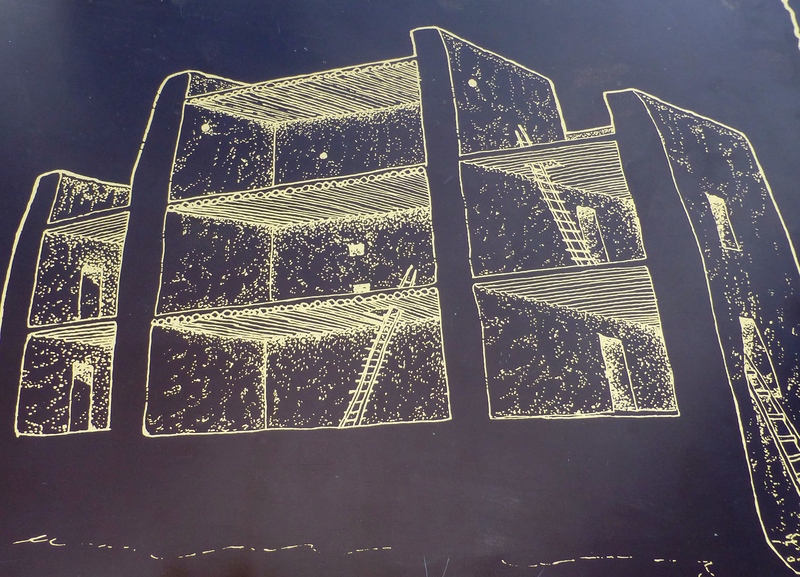 It was four stories tall and 60 feet long. Openings corresponded with the summer solstice and other moon positions. Wooden supports for the ceilings and floors came from 60 miles away. Centuries of weather and neglect have taken a toll on the Great House. In 1892 it became our country’s first archeological reserve. The current roof has been in place since 1932. Additional steps are also being taken to preserve as much of the remaining building as possible. 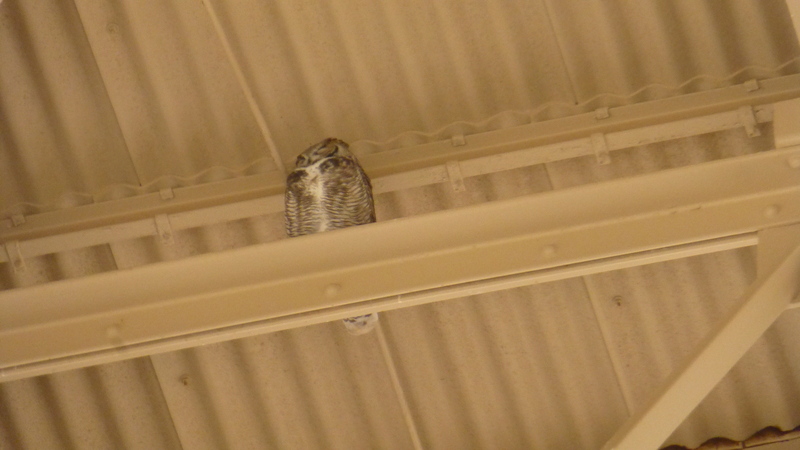 A resident owl keeps watch! The ancient peoples in this area (1100-1450) established hundreds of miles of irrigation ditches from the Gila and Salt Rivers and were able to live here year round. They had secure enough lives that they were able to spend time and effort beyond subsistence. They made pottery and jewelry for trading. They also had a ball court (scooped oval area) similar to those used by the Aztecs. We also visited the Caywood Cotton Farm, again entering a world we knew nothing about! Prices have been down for cotton in recent years, (they blame a glut of Chinese cotton) and with reduced water due to the drought, it is definitely a balancing act to decide what to grow. This small family farm is staying afloat by growing more alfalfa and less cotton (and dad is also a fireman). 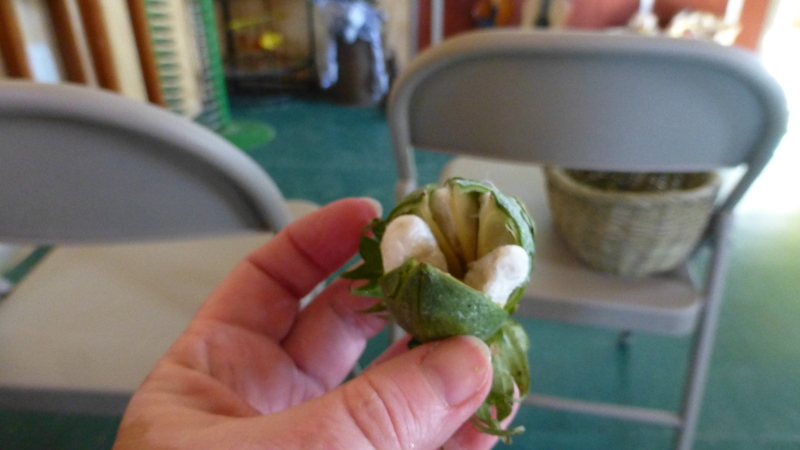 We learned some interesting things about growing cotton. It is state law that they use genetically enhanced seed to reduce the risk of insect infestation. We have been in so many areas that are resisting GMOs that this was interesting to us. They are also required to turn under their plants after harvest, again to reduce the risk of infestation. Inside the cotton boll, the fibers grow and eventually split open and the cotton bursts out. 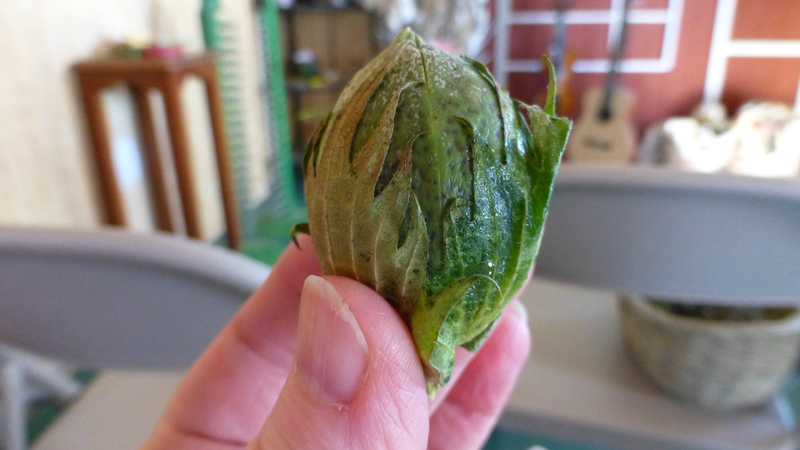 This immature boll was broken open to show the developing cotton. There are two types of cotton grown in Arizona, upland and pima. 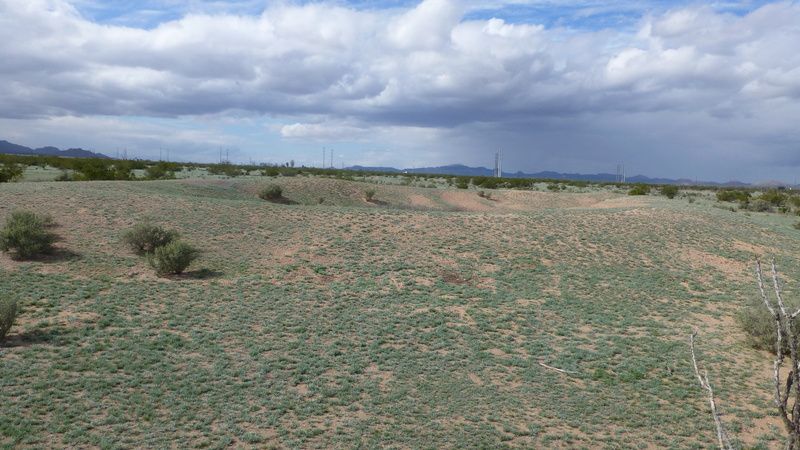 Pima is generally stronger, but most grow upland. It was unclear why the area has moved more toward growing upland cotton. They require separate gins, which seem to be run as cooperatives. The term “fair to middling” has its roots in growing cotton. Fair cotton is the best quality, middling is good, and low is ordinary. How interesting that the term “fair to middling” generally means “not good, not bad” when that isn’t what the cotton equivalent means at all. Once processed, a bale of cotton weighs about 480 pounds. A typical bale will make 325 pairs of jeans or 3000 diapers. Beyond the cotton itself, the seed is also important. It produces an oil that was the primary oil used for cooking until the 1940s. Crisco (crystallized cottonseed oil) was one of the first products made using cotton seed oil. The current uses for cotton seeds are very broad. Just to name a very few… kernels are used for fertilizer, feed, refined oils, soaps, cosmetics and insecticides. The hulls are used in bran, rubbers and plastics. The linters are used in food casings, dynamite, rocket propellant and currency. Again, a world we knew nothing about! We are delighted to be able to learn something new almost every day. How interesting. You are enlightening all of us! Looking forward to more. Absolutely – love to run into you again along the way.